We're back with the second installment of our exploration of anarchism's complicated relationship with communism. 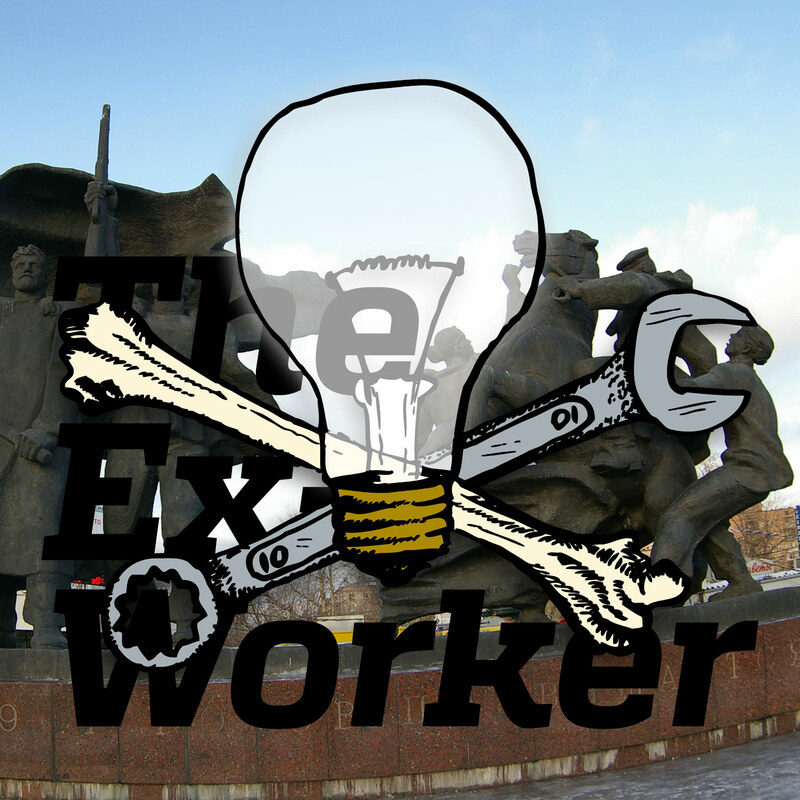 Ex-worker's Russia correspondents Misha and Anastasia come to us through the fuzzy airwaves of history, reporting live from the Russian revolution and what the anarchists are up to . . . we'll see how that goes. We'll also hear some more feedback from everyone's favorite gubernatorial candidate, anarchist prisoner Sean Swain, as well as extensive coverage of eco- and animal-liberation actions and prisoner rebellions from around the world. This episode’s theme segment is a continuation of Episode 20. You might want to start listening there if you haven’t already. Our favorite anarchist exposition of the flaws of state socialism is the comic version of Bakunin’s “Critique of State Socialism”, produced by Irish anarchists in 1981. For this episode, we drew a lot of quotes from the Anarchist FAQ’s discussion of state socialism, even though we don’t agree with all of it. We particularly pillaged the extremely useful and detailed discussion of Marx vs. Bakunin. Writings by Ukrainian anarchist Nestor Mahkno; it’s interesting to note that Mahkno’s image and legacy have been appropriated by fascists in the recent Ukraine uprisings. The totally amazing statement from the Briansk Anarchist Federation, July 1918 can be found here. On the the role of communists in defusing of the May 1968 rebellion in Paris, see “Obsolete Communism: The Left Wing Alternative” by Daniel and Gabriel Cohn-Bendit (also covers the Russian Revolution, Kronstadt, and the Makhnovchina). On the Stalinists versus anarchists in the Spanish Civil War, we quoted from Emma Goldman’s essay on Political Persecution in Republican Spain. On anarchist critiques of contemporary socialist regimes: on Cuba, see Frank Fernandez’s book Cuban Anarchism for historical context, and the newsletter Cuba Libertaria (Spanish language) or the 2004 interview with exiled Cuban libertarian militant Octavio Alberola for a contemporary perspective. You can also read anarchist reflections on the Bolivarian semi-socialist regimes of Venezuela and Bolivia. On North Korea, see the Fifth Estate article, “An Anarchist in North Korea”. And here’s a link to that scandalous bit from Worker’s World newspaper, in which the party “affirms its solidarity with Comrade Kim Jong Un” and argues that progressives in the US are obligated to defend the North Korean state against the imperialist lies and attacks. From the hotwire: animal liberation prisoner Brian Vaillancourt was sentenced to 9 years in an Illinois prison; here’s a link to his support fund. Information about the call-in campaign for former Black Panther Abdul Majid, who is serving life in prison for the alleged murder of an NYPD officer, can be found on the NYC anarchist black cross’ website. inmates in a Texas ICE facility have begun corresponding hunger strikes with those ongoing at the Tacoma, WA ICE facility. Keep up on the developments here. More of Sean Swain’s writings and opinions can be found on his support page; you can also listen to more of his rantings on his weekly segment on Asheville FM’s The Final Straw. And no, we weren’t kidding– he actually is running for governor of Ohio.